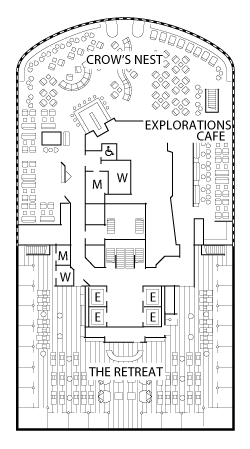 The Observation Deck features the Crow's Next, Explorations Cafe, and The Retreat. 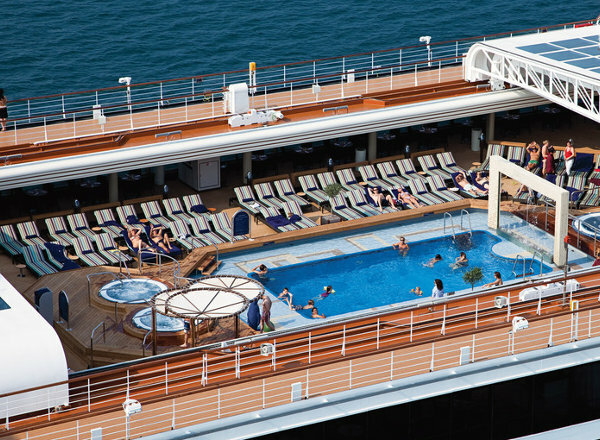 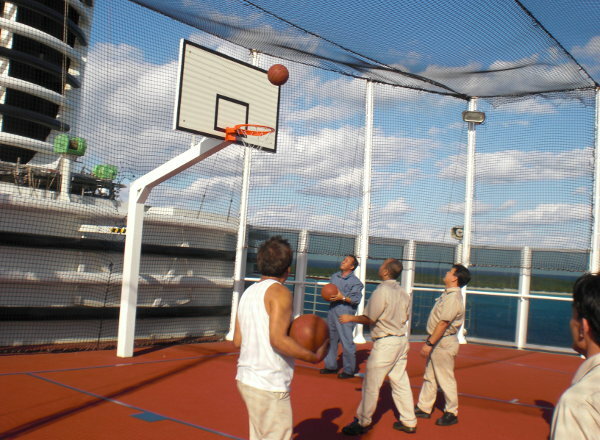 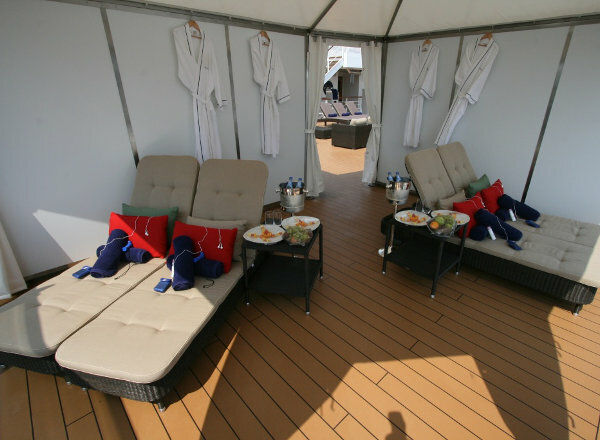 The Sun Deck features staterooms in categories SC, VB, D, and K, as well as the Outdoor Jogging Track, Sport Court, and the Sun Deck. 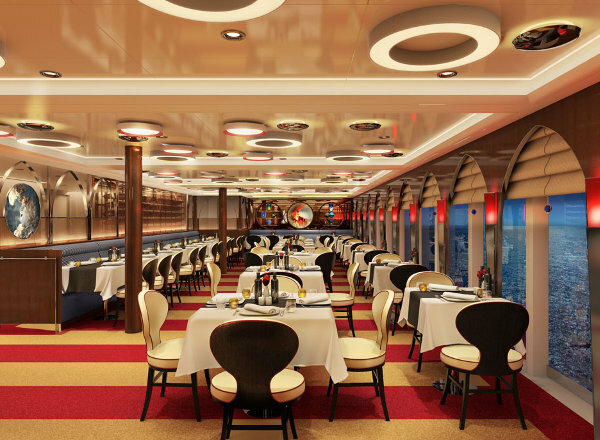 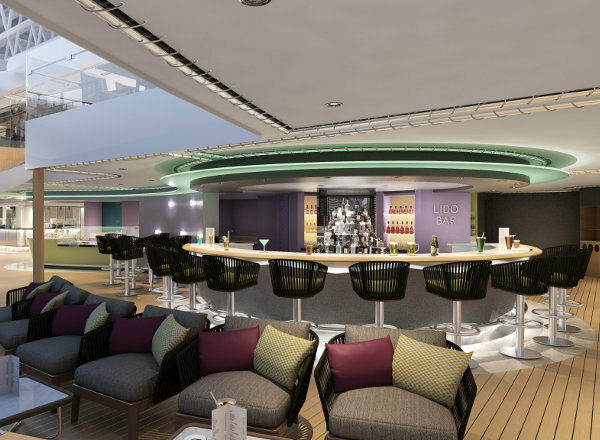 The Panorama Deck features staterooms in categories SQ, VQ, CQ, and IQ, as well as the upper level of the Greenhouse Spa & Salon, New York Deli, Panorama Bar, The Loft, and Tamarind Restaurant. 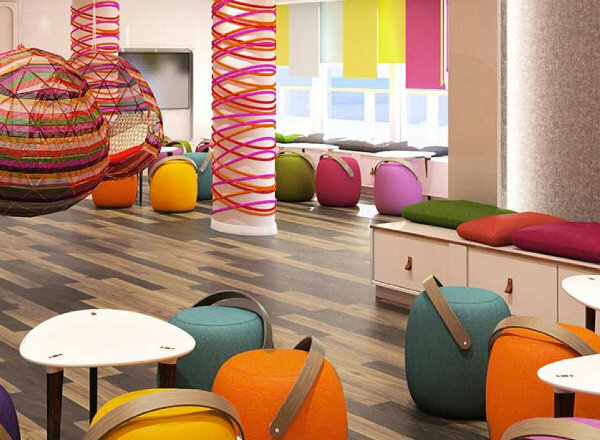 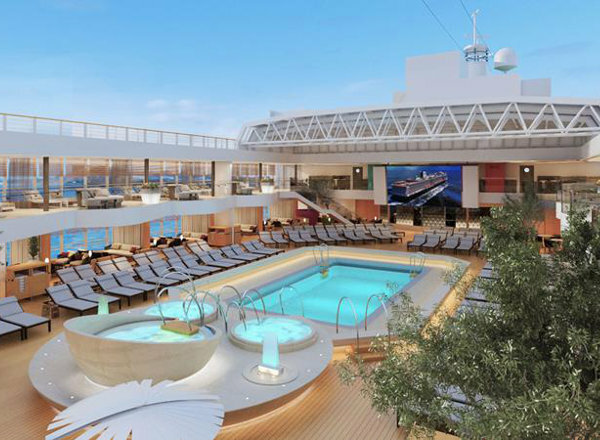 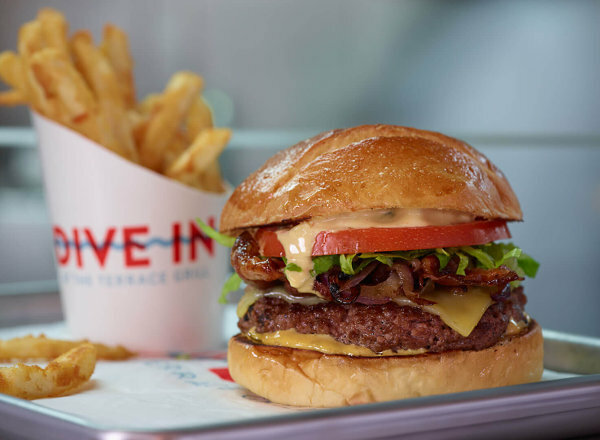 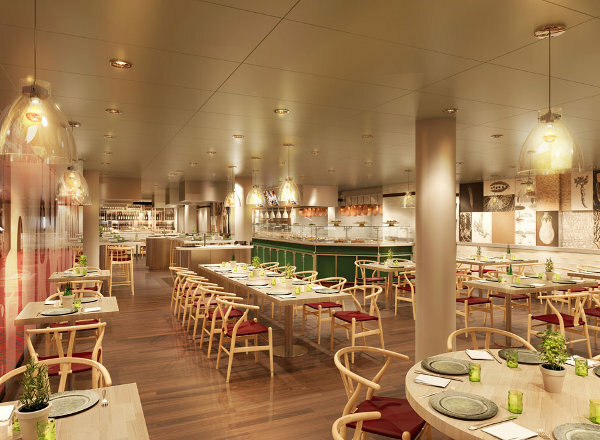 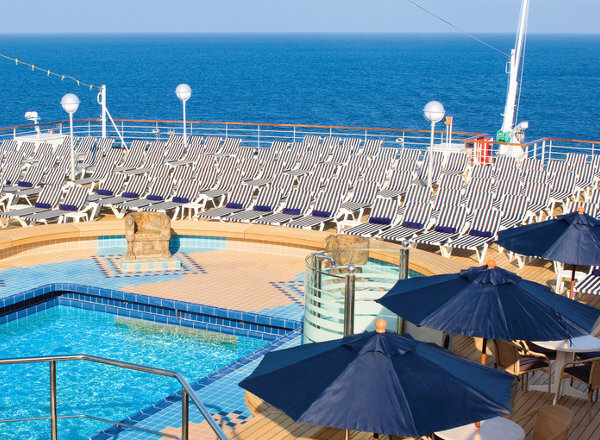 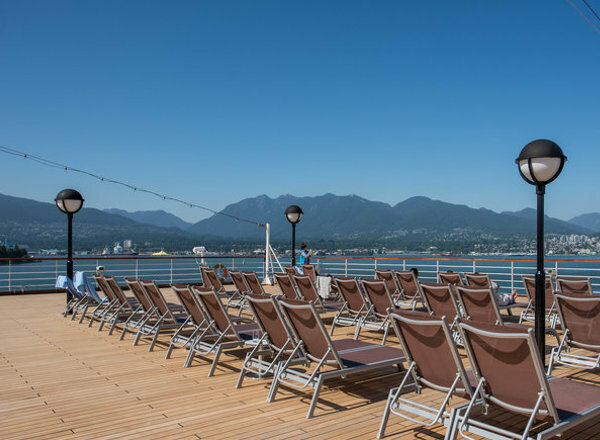 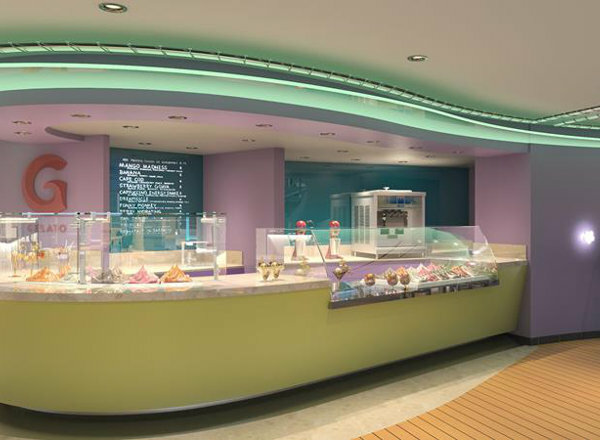 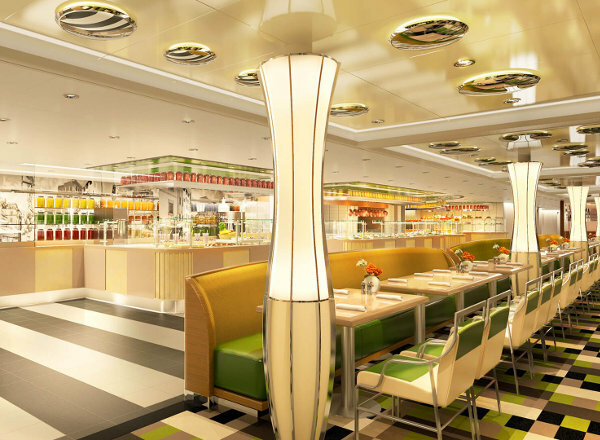 The Lido Deck features the Fitness Center, the lower level of the Greenhouse Spa & Salon, Lido Pool, Lido Bar, Gelato, Dive-In, Canaletto, Lido Market, Sea View Bar, and Sea View Pool. 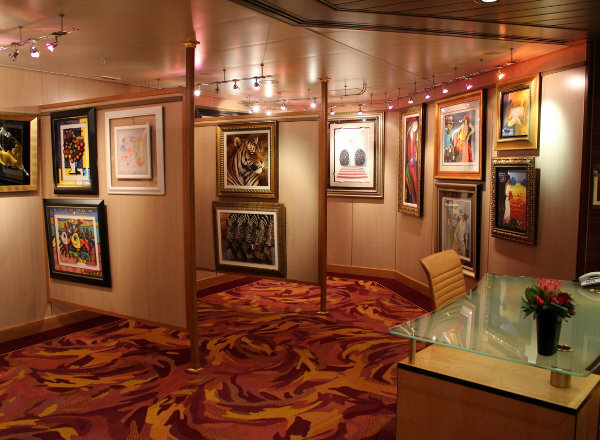 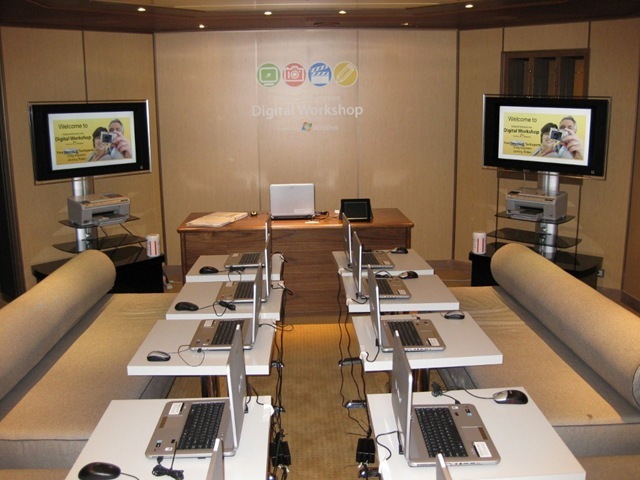 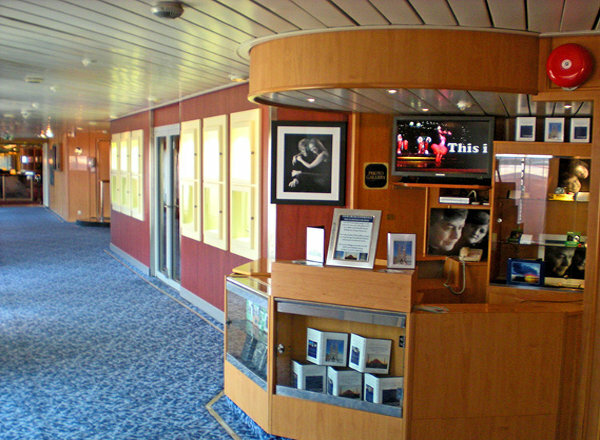 The Navigation Deck features staterooms in categories SB, B, VS, V, VA, VE, VF, I, J, K, and L, as well as the Bridge. 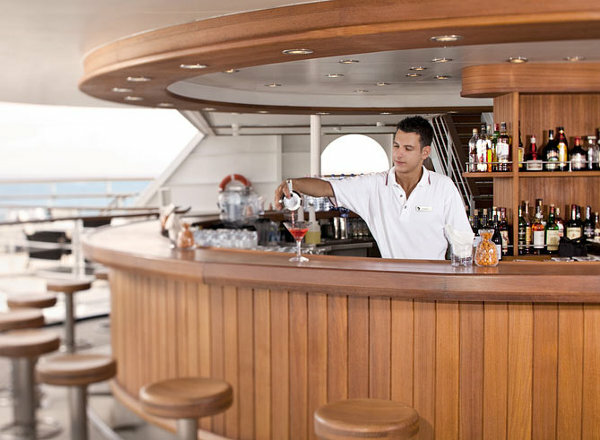 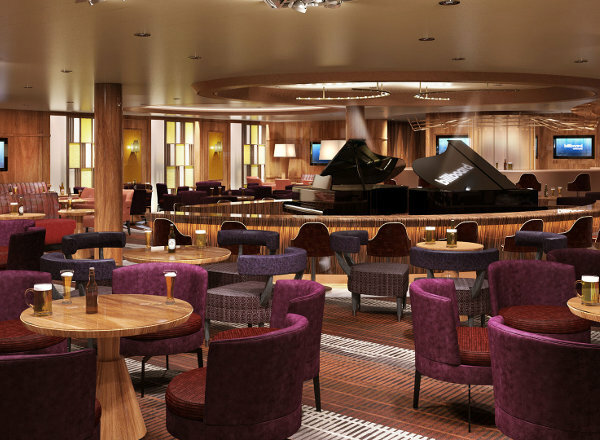 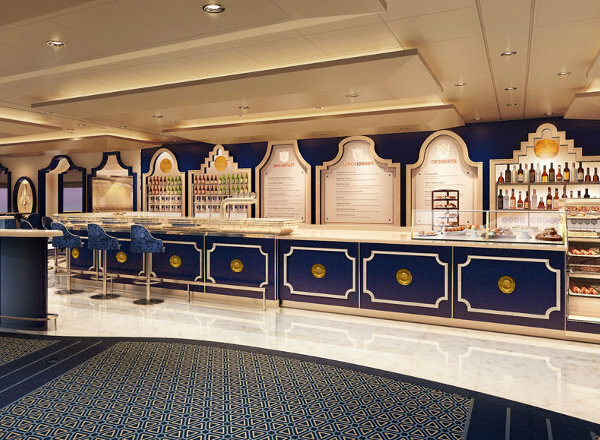 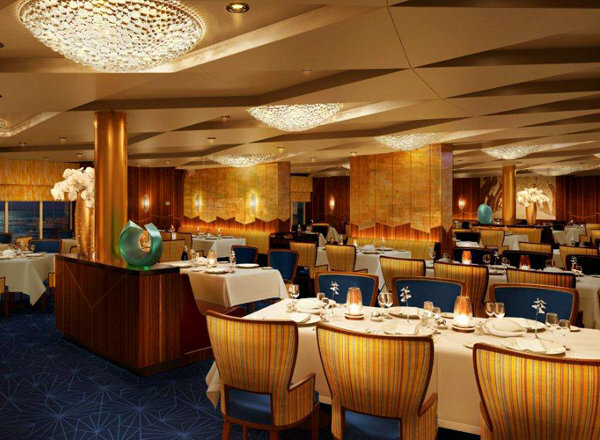 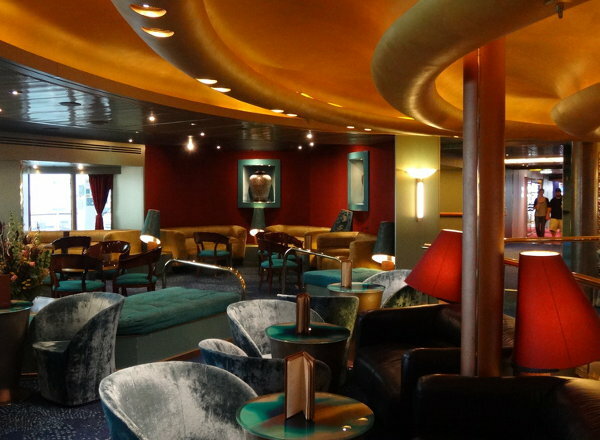 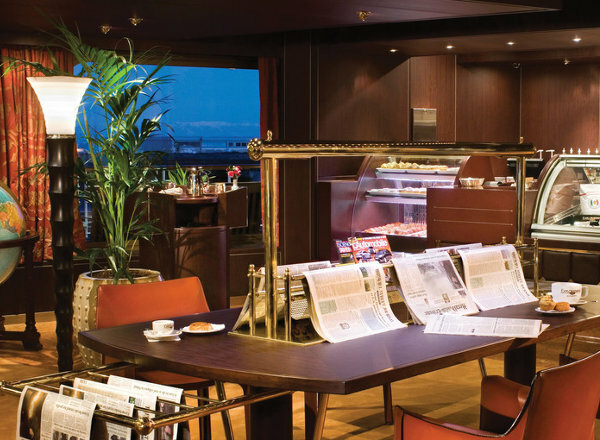 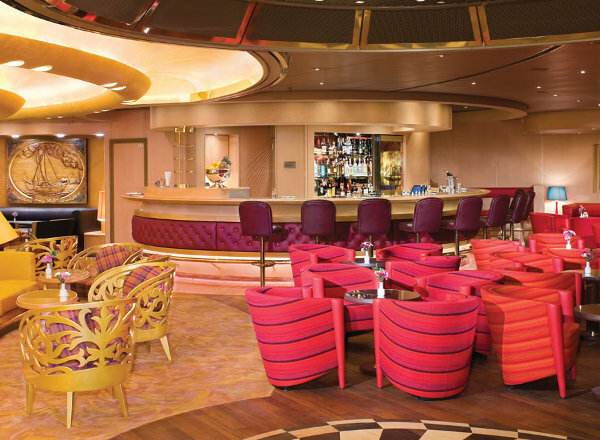 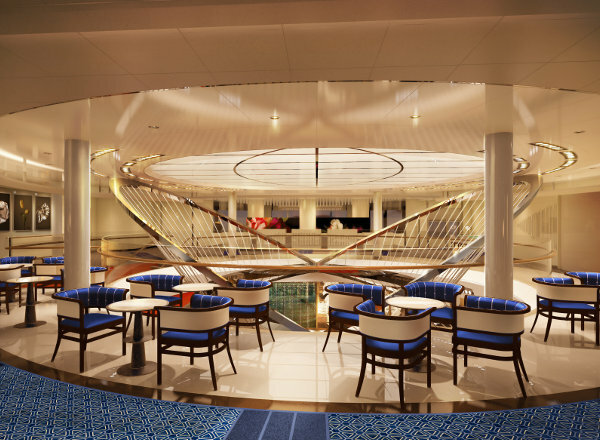 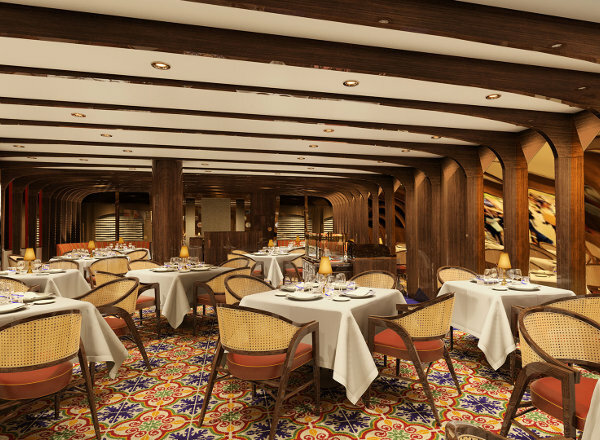 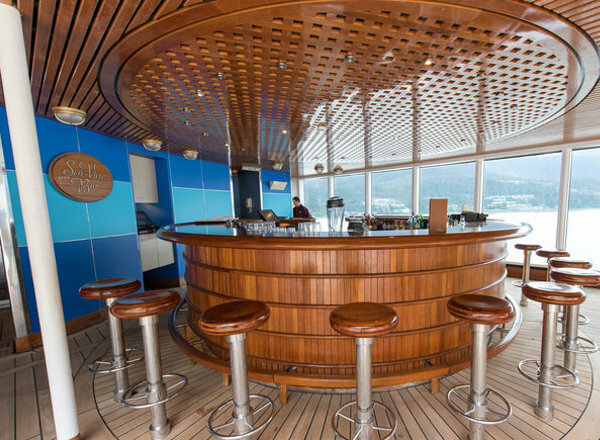 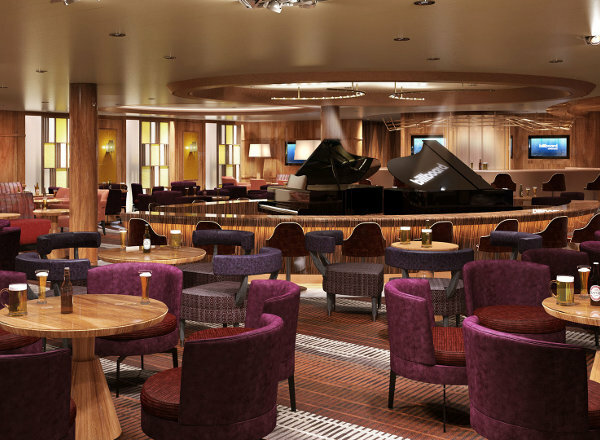 The Schubert Deck features staterooms in categories PS, SA, SB, SS, AS, A. V, VA, VD, VE, D, I, J, K, and L, as well as the the Concierge, and Neptune Lounge. 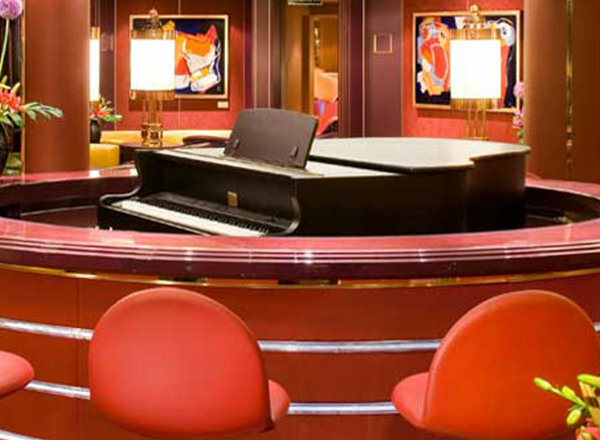 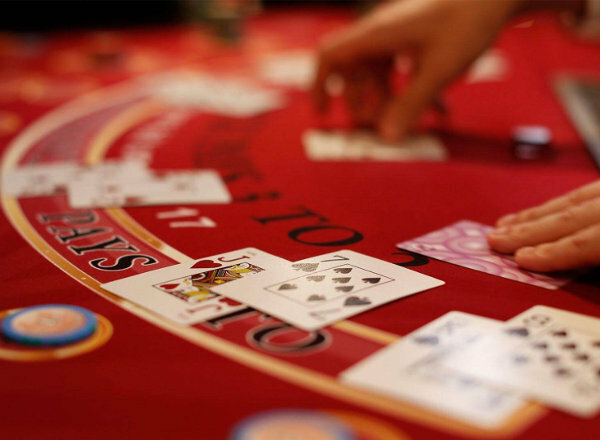 The Mozart Deck features staterooms in categories SB, A, BC, VS, V, VA, VC, VD, I, J, K, and L.
The Gershwin Deck features staterooms in categories SB, SY, A, VS, V, VC, VD, I, J, K, and L.
The Beethoven Deck features staterooms in categories SB, AS, A, BC, V, VB, VF, VH, E, I, J, K, L, and N.
The Promenade Deck features the upper level of World Stage theater, the Casino, Art Gallery, upper level of the Queen's Lounge, Signature Shops, the Front Office, the Atrium, Grand Dutch Cafe, Photo Gallery, and the upper level of The Dining Room. 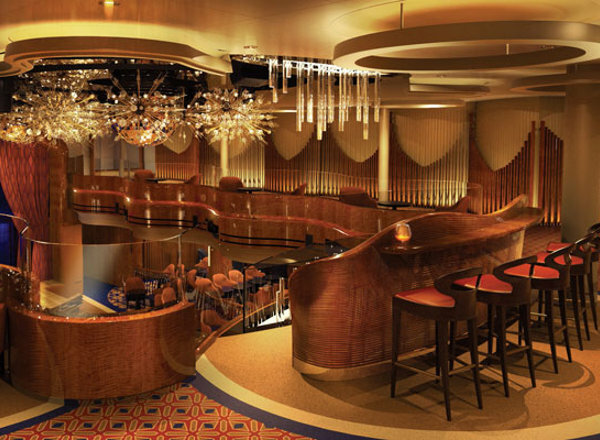 The Plaza Deck features the lower level of World Stage theater, Digital Workshop, the Piano Bar, Mix, Ocean Bar, Merabella Luxury Shops, Signature Shops, Queen's Lounge, the Pinnacle Grill, the Atrium, a Specialty Restaurant, Explorer's Lounge, Culinary Arts Center, and the first level of The Dining Room. 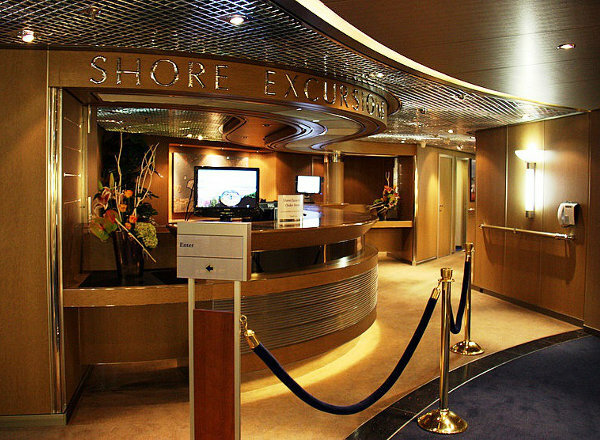 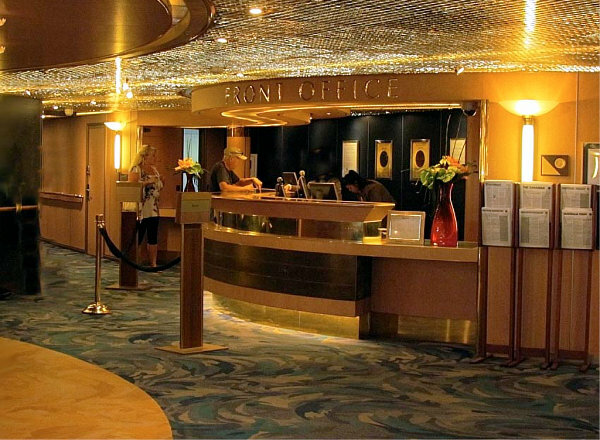 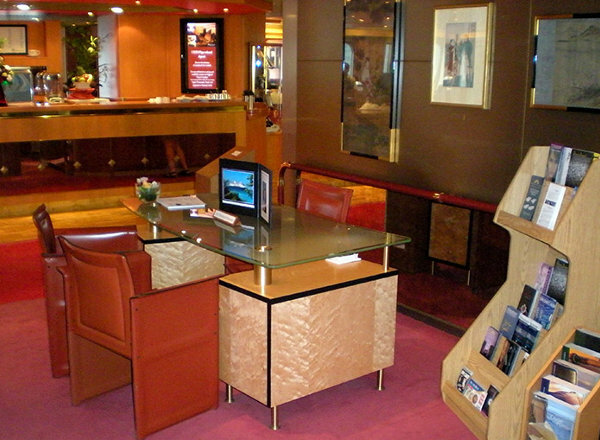 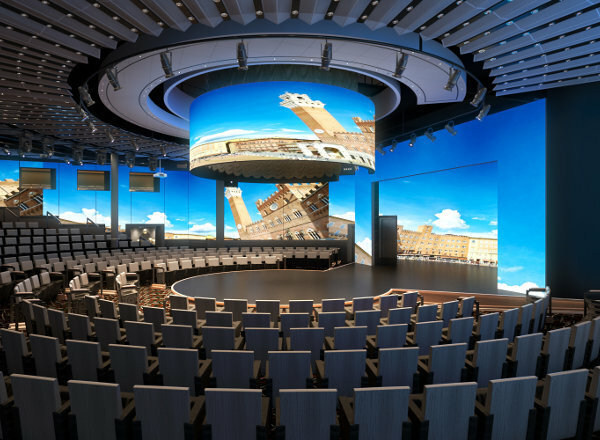 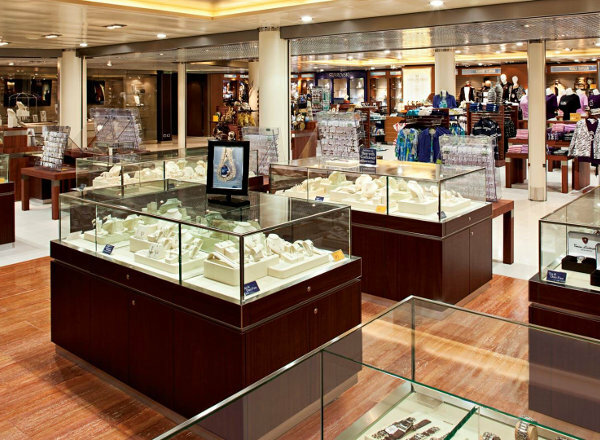 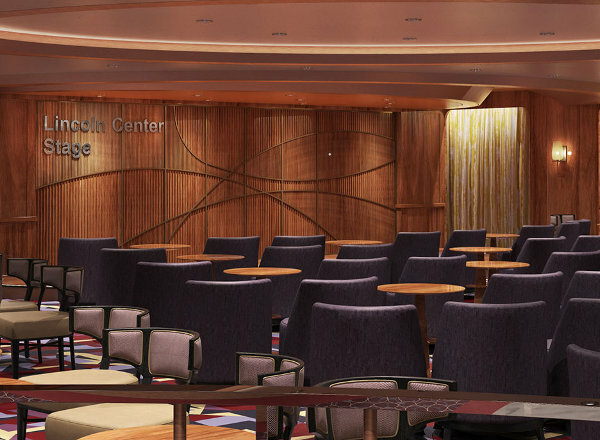 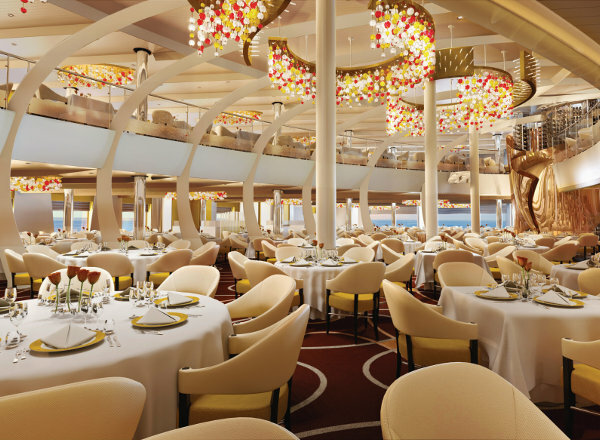 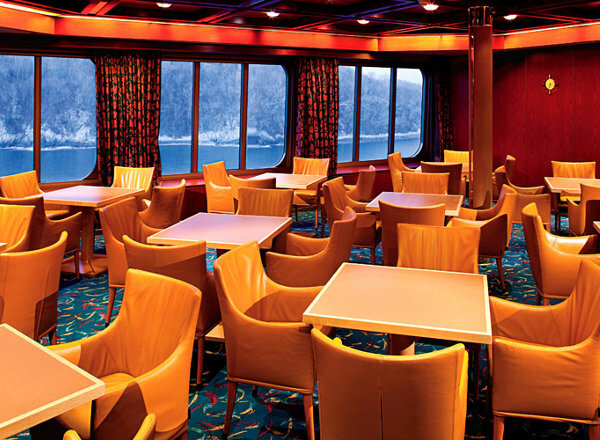 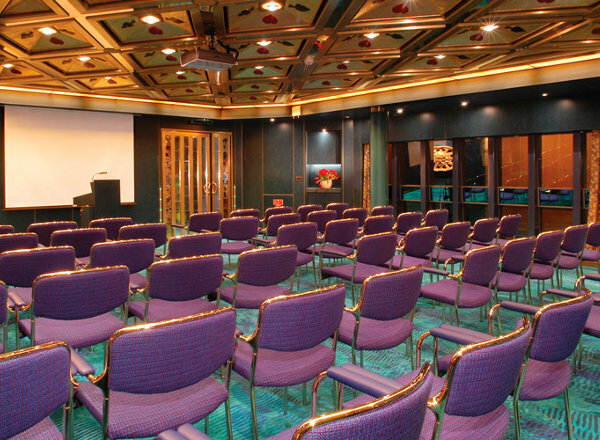 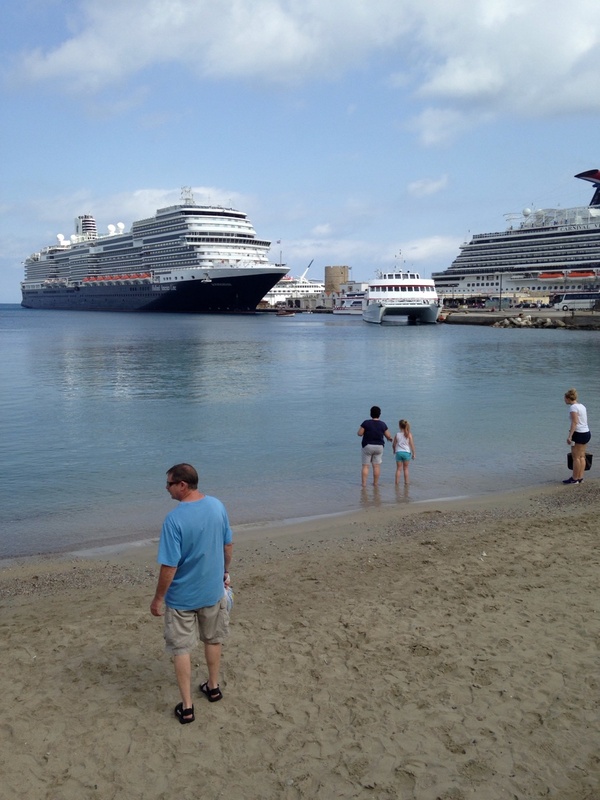 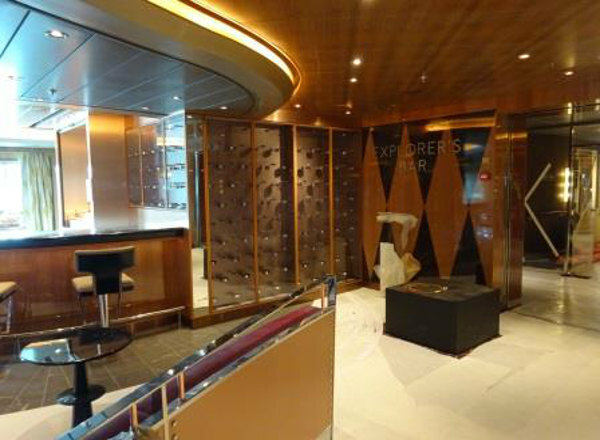 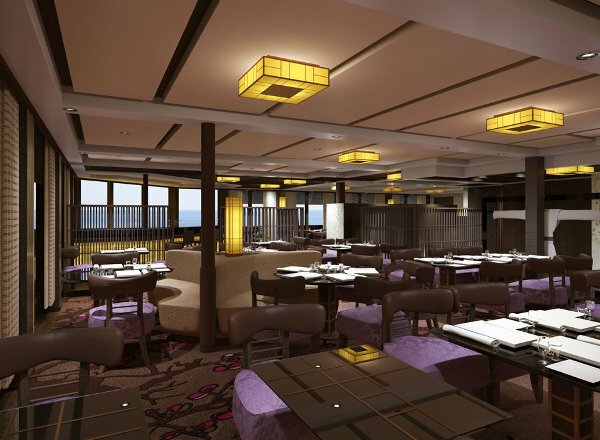 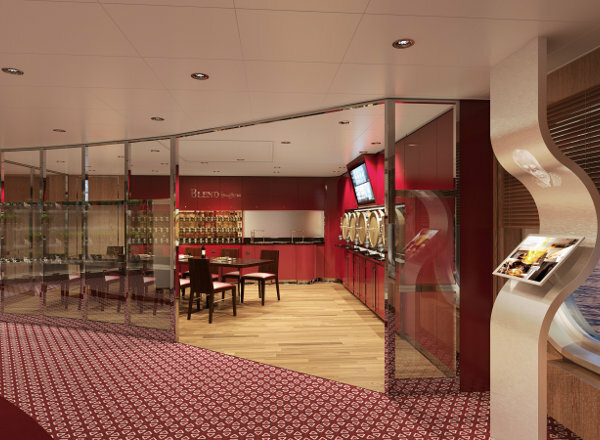 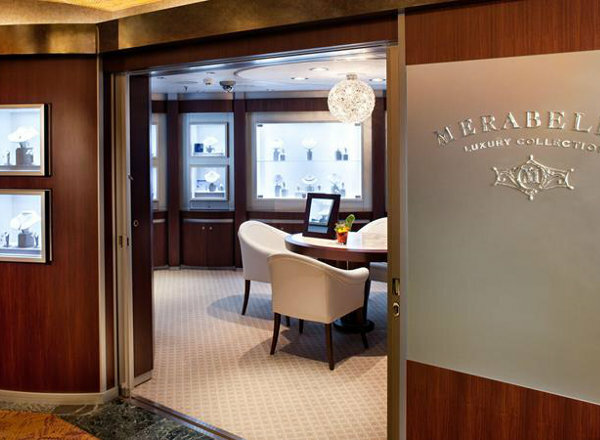 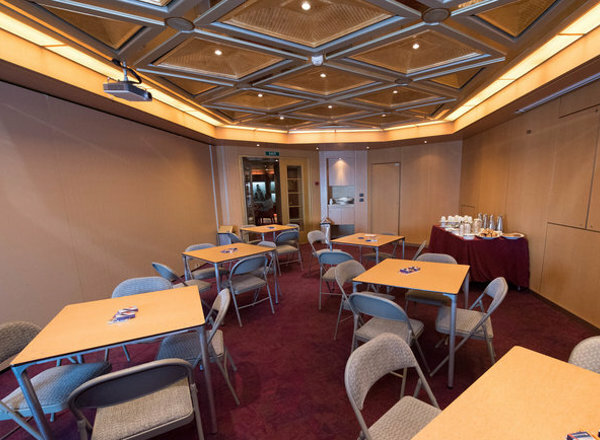 The Main Deck features staterooms in categories FA, FB, C, E, F, OO, I, J, and N, as well as Conference Rooms, the Atrium, and the Shore Excursions desk.